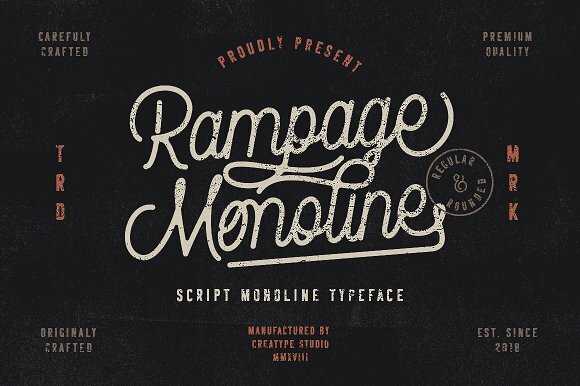 Rampage Monoline is a beautiful, sweet style, vintage monoline touch with movement and grace. The script comes in a regular and rounded version. Rampage has an elegant and stunning as a display which makes it perfecf for branding projects, logos, wedding designs, social media posts, advertisements, product packaging, product designs, label, photography, watermark, invitation, stationery and any projects that need handwriting taste.